Just popping in really quickly again today to show you the last card in my series using the beautiful foiled Sweet Soiree patterned papers. Have I saved the best until last? You decide. I absolutely love the simplicity of this card. 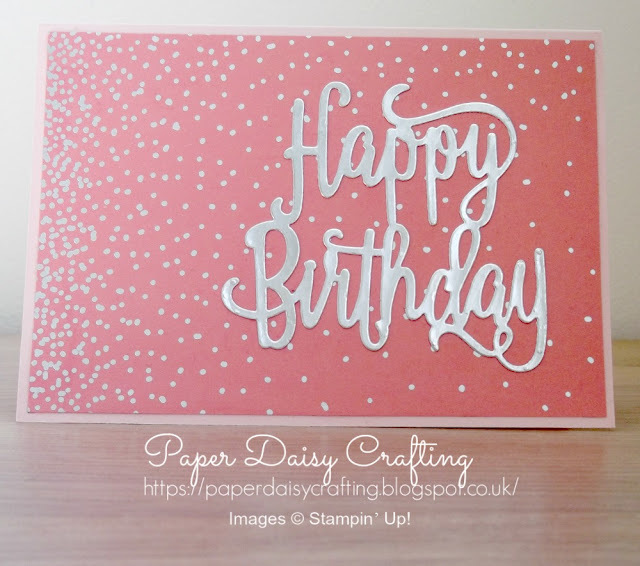 Just a panel of patterned paper and a greeting cut from silver foil. 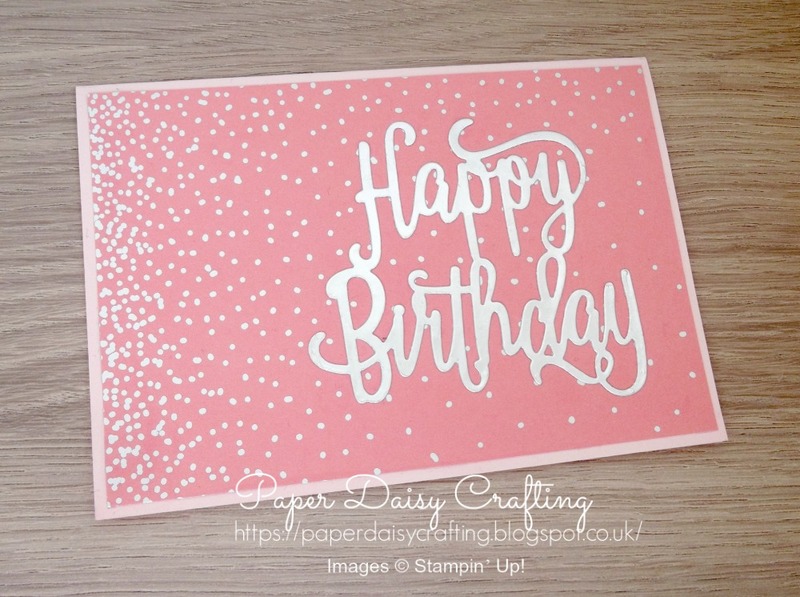 The patterned paper has a greater concentration of silver dots around the edges and I've made the most of that in this design. I know this design will be just too simple for some, but I love it! Don't forget these papers will be retiring at the end of May - grab them now while you can. And if you'd like copy of the new catalogue, give me a shout - first batch is being sent out today.